This is my version of what I like to call The Ultimate Taco Salad. It has this name for a reason…this salad has EVERYTHING you’d ever crave in a taco salad when it comes to texture and flavor! This salad is healthy, comforting, satisfying, and hearty (which is a big plus for me when it comes to salads). 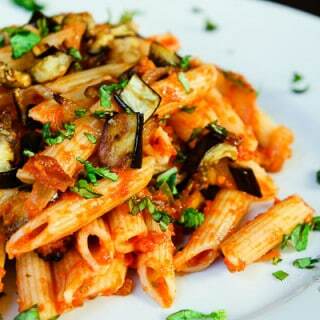 Simply try out this easy recipe and I promise you’ll be begging for leftovers the next day! 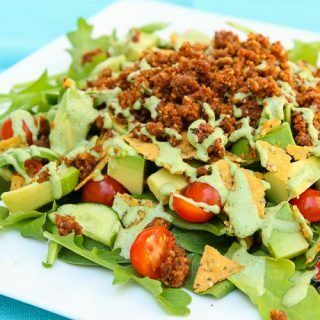 This Taco Salad features two of my new recipes, Savory Walnut Sun-Dried Tomato Crumble and Creamy Cilantro Tahini Sauce. 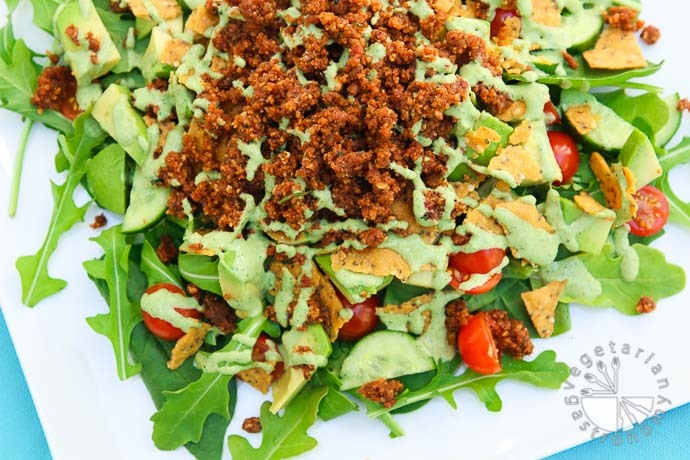 The intense flavor of the walnut crumble really balances out well when combined with fresh greens and vegetables, and the Creamy Cilantro Tahini Dressing helps bring it all together. After making this salad once, you’re going to crave it again the next day. 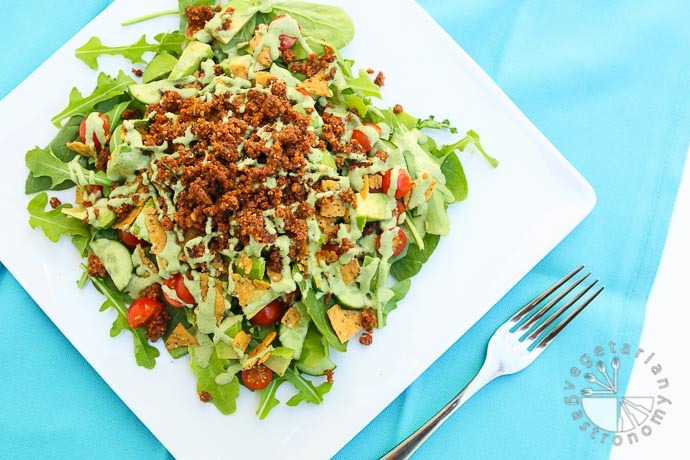 Well don’t worry, because the best thing about this salad is that you can easily prep the savory walnut crumble and creamy cilantro tahini dressing ahead of time, and then spend only 5 minutes to prepare this salad the rest of the week! I’m going to end this post and keep it short…because well, there’s nothing more to say other than check out the recipe, get the ingredients, and MAKE THIS ULTIMATE TACO SALAD today! You will love it! When you do, be sure to Tag me on Facebook or Instagram @vegetariangastronomy , #vegetariangastronomy, so I don’t miss it! 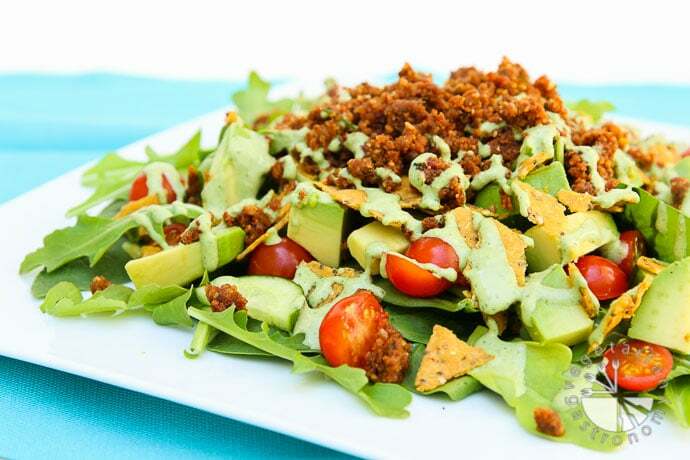 This healthy delicious taco salad has it all! 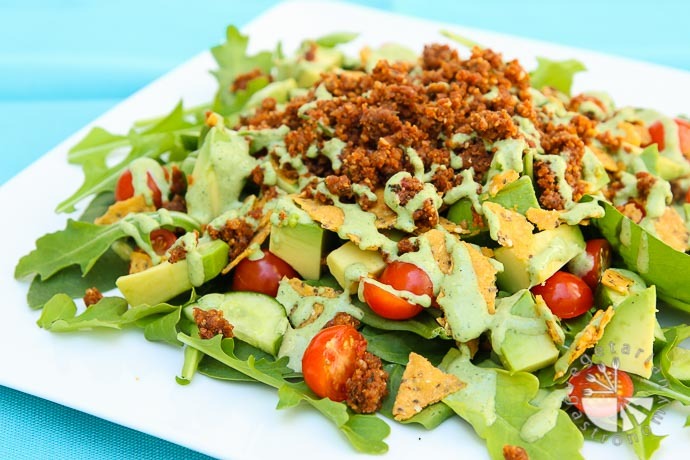 Protein, flavor, creaminess, crunchy tortilla chips, avocado, fresh greens, and my favorite vegan taco crumble! On a serving plate, mix the baby arugula and spinach leaves (or kale). Spread the greens out evenly on the plate. Top with cherry tomato halves, sliced cucumbers, corn kernels (defrosted), and diced avocado. Crumble the Savory Walnut Sun-Dried Tomato mix on top, and drizzle on the Creamy Cilantro Tahini Sauce . Enjoy! I've tried this salad with both a baby arugula + baby spinach mix and all kale. Both versions were great! Pre-Ahead Tip -Make the savory walnut sun-dried tomato mix & creamy cilantro tahini sauce ahead of time then simply assemble when ready to make. Oh, wow!!! This looks fantastic!!! 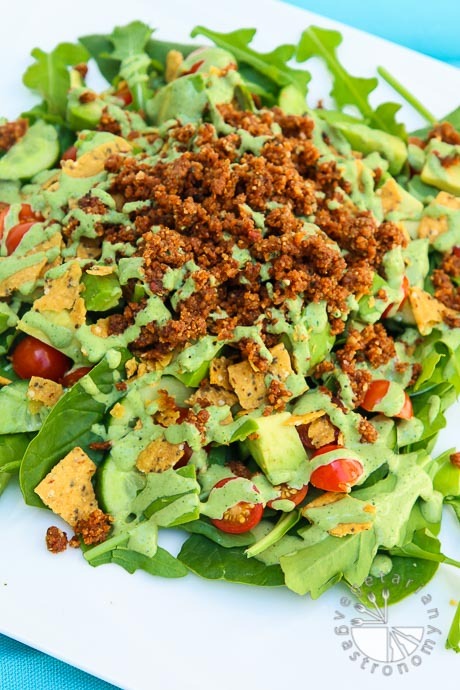 We had plans to use your walnut crumbles in tacos tomorrow, but now I think i want to make this salad instead! YUM!! Love all of those colors, too. I posted one day early JUST FOR YOU!! Thank you for trying it out and so awesome you loved it! Not to mention that pix you posted on IG was mouthwatering...love that plate! I'm in Hawaii right now craving this salad =) It'll probably be one of the first things I make when I get back ha! Oh and I love that chipotle dressing of yours as an another dressing to enjoy with this salad...so good! 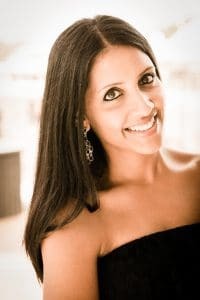 Thank you Reshana! I LOVE this salad...especially the flavor of the crumble and how well it goes with the fresh salad and dressing. Hope you get a chance to try out the recipe! A hearty, delicious and nutritious salad! I quite enjoyed my lunch today! Thank you!! My favorite! So glad you loved it as well! You had me craving this all week! I stumbled onto your site looking for a way to use sundried tomatoes and found this salad! Loved it, especially the crumbles and the sauce. Made it exactly as directed except for adding some shredded carrots. 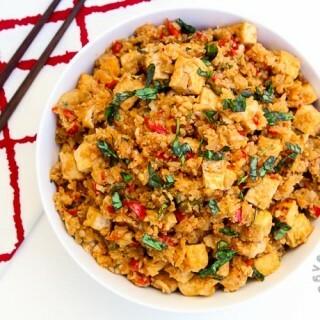 I'll be back to try some other recipes---the Thai dishes look amazing. Thanks Ellen!! So glad you loved it! The crumble is one of my favorite recipes! If you have leftover crumble, check out my black bean taco recipe using it. I have a few more coming this year. And YES...people LOVE my thai dishes so definitely try them out!